To help keep people running as the holiday season winds down, Dunkin’ Donuts has a full lineup of seasonal beverages, including the new Red Velvet Latte featuring the indulgent, sweet taste of red velvet cake and cream cheese frosting, topped with a festive red drizzle. Also available are classic holiday latte favorites Peppermint Mocha and White Chocolate. All of Dunkin’ Donuts’ coffee and lattes are available hot or iced. Dunkin’ Donuts serves a variety of smooth and creamy hot chocolates as well, including the brand’s newest hot chocolate flavor, Salted Caramel Hot Chocolate, featuring a blend of sweet and salty flavors in every sip. Dunkin’ Donuts also offers Mint Hot Chocolate, White Hot Chocolate, classic Hot Chocolate and Dunkaccino® coffee flavor at participating restaurants throughout the country. As the holiday season hits the home stretch, Dunkin’ Donuts is also offering special value offers to enjoy Dunkin’ Donuts’ famous coffee at home for the holidays. Now through December 29, guests can purchase Dunkin’ Donuts’ packaged coffee for the special price of three pounds for $19.99, available online and in participating restaurants. Also throughout the holiday season, guests can purchase Dunkin’ Donuts’ K-Cup® packs, for use with the Keurig® K-Cup® Brewing System, for the special price of two boxes for $19.99. Both offers are available while supplies last at participating Dunkin’ Donuts restaurants nationwide. 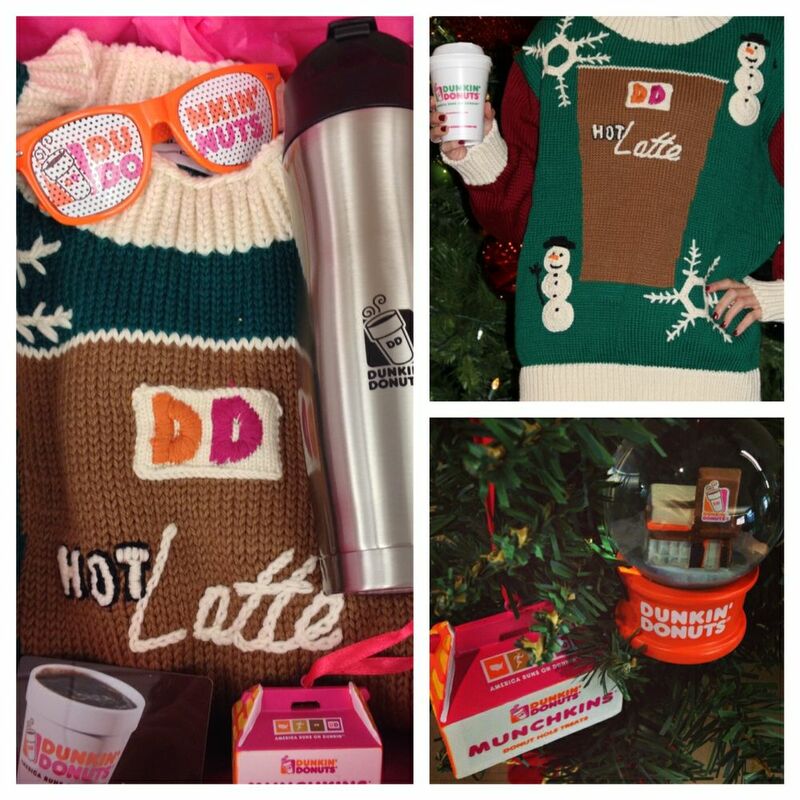 For an affordable last-minute gift that doesn’t need wrapping, Dunkin’ Donuts Cards are available in a variety of holiday and winter themed designs. Dunkin’ Donuts Cards can be purchased at any participating Dunkin' Donuts location in amounts from $2 to $100, as well as online at DunkinDonuts.com, and at many grocery, pharmacy, and big box retailers. Dunkin' Donuts Cards always have no fees and no expiration date. Finally, last-minute shoppers can keep themselves running on Dunkin’ Donuts right through Christmas Eve, as many Dunkin’ Donuts restaurants will be open until 6:00 p.m. or later on December 24. And for those who want to pick up their favorite food and beverages on Christmas Day, many Dunkin’ Donuts restaurants nationwide are also open on December 25. To help keep people connected during the hectic holiday hustle and bustle, almost all U.S. Dunkin’ Donuts restaurants offer free hi-speed Wi-Fi access. For anyone seeking a place to check email or browse the Internet while enjoying delicious food and beverages, Dunkin’ Donuts is now the ‘hot spot’ to keep people running both online and offline through the holiday season and beyond. Keurig, the Cup and Star design, Keurig Brewed, K-Cup, and the Keurig brewer trade dress are trademarks of Keurig, Incorporated, used with permission. K-Cup® packs for use in Keurig® K-Cup® Brewing Systems.